As a landscape photographer, fall is one of the times of the year that I find to be most exciting. As the temperatures begin to cool, the leaves of deciduous trees start changing their pigment and photographers and general foliage enthusiasts alike flock to see the vibrant colors for themselves. I live in the northeastern United States, which has ample opportunities to view the vibrant fall foliage that blankets my area each autumn and gets me excited for the season each year. However, even with plenty of opportunities to see the leaves change each autumn, I have learned over the last few years that finding and photographing fall color takes some knowledge and planning if you want to maximize the experience. What Makes for Good Fall Color? To know how to find great fall foliage, it is important to have a bit of knowledge about what causes it to occur in the first place. No season of fall color is created equal, and there are a variety of factors that must take place for top-notch foliage, some of which come into play well before the leaves begin to change. Without getting too scientific, the main thing to understand is that as fall progresses, the amount of chlorophyll in deciduous leaves is reduced, allowing other pigments to absorb and reflect visible light as they please. Instead of reflecting green light, these pigments reflect the yellow, orange, and red colors that we love to see and photograph. 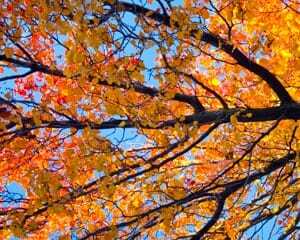 For the pigments that reflect the vibrant yellows, oranges, and reds we see during fall to show themselves, a few different things need to happen over the course of the year. 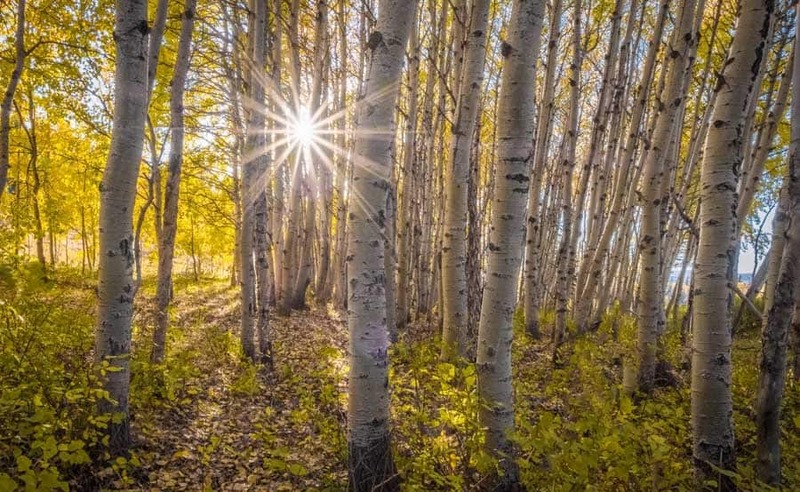 During a tree’s growing season, ample water is needed, meaning that drought conditions which occur early during a calendar year or even during the year prior can cause trees to drop their leaves before chlorophyll gives way to the other pigments. 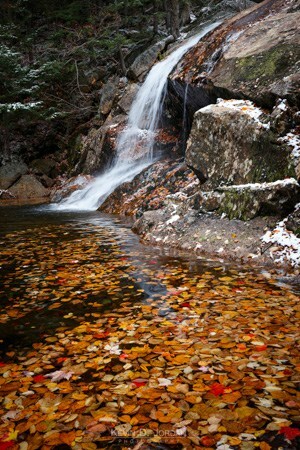 So, for good fall colors, the first step is a tree getting enough water during winter, spring, and summer. Once the autumn months come around, a few more things need to happen to ensure good fall colors. Plentiful sunshine and cool temperatures at night are the keys for quickly ridding leaves of their chlorophyll so that pigments reflecting yellow, orange, and red light can get to work. 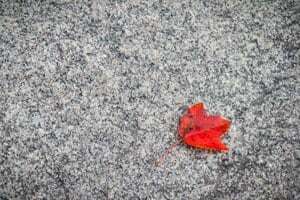 However, there is a sweet spot when it comes to temperature because frost at night can take away a leaf’s ability to produce some of these colorful pigments. So, if you only take three things away from this: 1) wet growing season, 2) plentiful sunshine at the beginning of fall, and 3) cool, but not freezing nights. Now that we know what makes good fall color, the next task in photographing fall color is finding it. Many publications in different regions will put out fall foliage forecasts saying which areas will be at peak fall color at what time. However, as mentioned above, the time that areas are actually at peak color will vary depending upon the weather, so be wary of taking these predictions as definitive (or even accurate, for that matter). If your area is going through a late-season heat wave, expect peak fall color to lag behind schedule. Similarly, if frosty nights come early or a heavy storm blows through the area, the best colors could disappear before you get to see them. So, while these forecasts are nice in theory, if they are not updated at the season progresses, they may not be providing accurate information. With that said, it’s important to keep your eyes on the weather when leading up to fall foliage season. When the sunny days and cool nights start happening, have your camera and tripod ready. Keep in mind, however, that weather will not be the same at all elevations. Although I live in Boston, I know that I have to keep an eye on forecasts for the areas a few hours north of me in New Hampshire, Maine, and Vermont where I want to photograph, which can see temperatures significantly lower than what I experience at home. Further, if I plan on hiking, I need to know how cold it is getting at night as I get higher in elevation (i.e. have those areas had heavy frosts? ), since those areas may see peak fall color sooner than lower elevations. Here is where your own research comes into play. 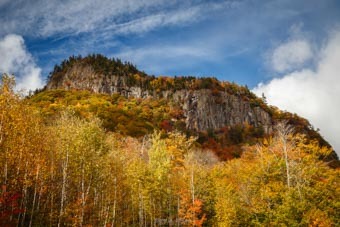 Depending on weather conditions, sometimes fall foliage can happen very quickly. I have experienced years when I went shooting on a Sunday and found myself to be too early for the good color, and by the following Saturday, everything was passed peak color. Now that we know how to find good fall color, the next step is to go photograph the bejeezus out of it. After all that planning, I personally like to try to maximize the time I have and shoot foliage as much as possible, almost all hours of the day. While this is obviously going to depend on the weather, there are a few strategies to keep in mind to help you make the most of your time photographing fall color. 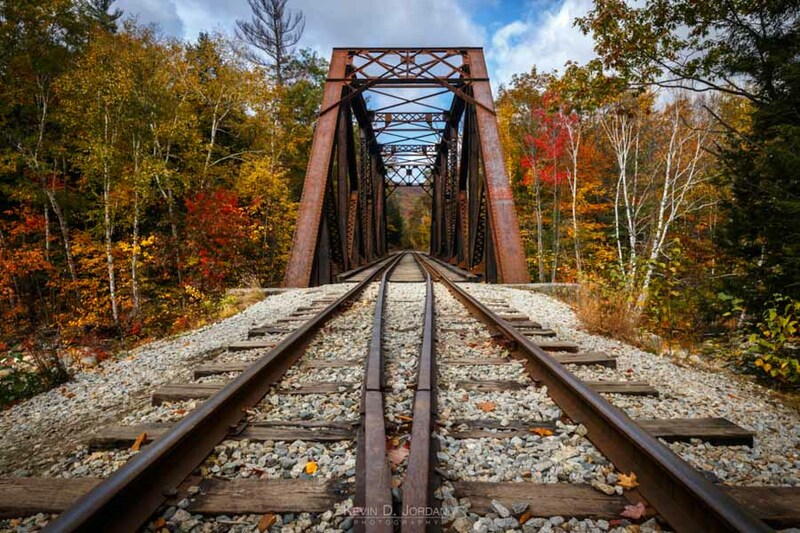 When it comes to photographing fall color, a polarizer filter is your friend. Just as a polarizing pair of sunglasses does, a polarizing filter can decrease glare on surfaces in your image, the result of which is the appearance of better-saturated leaves with better contrast, and, if it is not a cloudy day, a darkened blue sky to provide a split complimentary color to the orange and red leaves. Keep in mind that the polarizing filter is not a guaranteed method to get these results, as the angle of the sun compared to your shooting angle will ultimately determine how much of an effect the filter will have. For best results, use the polarizing filter when you are shooting at a 90-degree angle to the sun. To easily determine this, make an “L” with your thumb and index finger and point your index finger towards the sun (and, it should go without saying, but don’t stare at the sun while you do this…). When doing this, you can twist your arm so that your thumb rotates around but your index finger stays pointed at the sun. All the directions that your thumb points during this process are the directions you should shoot so that the polarizing filter has maximum effect. I find myself shooting wide angle scenes more often than not. Of all the times of the year, autumn is a great chance to slap the telephoto lens on my camera and zoom in. While I love showing the sea of color spreading over the landscape in a wide-angle shot, zooming in on one tree, a portion of one tree, or even just a single leaf is a great way to isolate the fall color and show its detail. If you plan to shoot fall color in a populated place like I often do, you going to be battling with other crowds of leaf peepers looking to experience the same thing that you are. Many of the worst crowds will be out from mid-morning until late afternoon in many spots, so shooting in the early morning and evening will allow you to capture some of the more popular views without the added visitors. On the other hand, however, if you are looking to capture photos of people out enjoying nature, these crowds may give you the ability to photograph exactly what you are looking for. In addition to avoiding crowds, early and late-day light can help to accentuate the autumn foliage colors, especially if you find yourself in a lackluster season for fall color. During years when the colors just are not as vibrant as you would like them to be, a midday shot may not be as flattering on the leaves as Golden Hour light that bathes the foliage in a yellow-orange light. So, finding yourself out when the sun first comes up or just before it disappears over the horizon may be the key you need to get the fall color looking the way you would like it to. With peak fall color in some areas sometimes only lasting a week or two at most, there is a chance you may have to shoot in less than ideal weather conditions. And for those who may be limited to shooting on the weekends, this means going with the flow and taking what nature gives you. If you find yourself faced with rain, escape into the woods and photograph waterfalls and streams. If you get up for sunrise and are faced with morning fog and mist, switch your focus to capturing the atmosphere that morning instead of a killer sunrise. If a storm blows through and drops most of the leaves sooner than expected, shoot wide and use those fallen leaves as foreground interest in your composition. Just because it may not have been what you were planning on and envisioning before going out to shoot does not mean you can’t make a great photo from it. Part of the beauty of fall color is how unique it is. It happens each year for a few weeks and only does so in select locations. This novelty means that having those colors out in nature at your disposal allows you to get creative and capture photos that may not otherwise interest you. Instead of pointing your lens at the leaves, point it at the water and capture a colorful reflection you would not otherwise find. 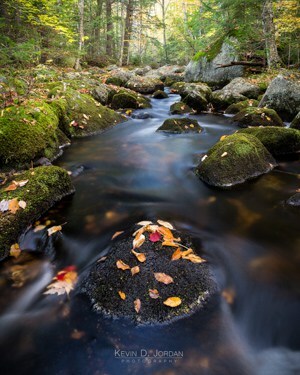 Use long exposures on a breezy day and let the colorful leaves blow through your frame or let them drift through the water in a stream or on a lake. Unique situations often make for the best photos and often provide great opportunities to break yourself out of usual habits and put you into a more creative space. When out shooting fall color this year, try your hand at a series of shots you would not normally try and step outside your comfort zone. But, most of all, enjoy the season!